Regarding the new service Group CEO Ethiopian Airlines, Mr. Tewolde GebreMariam remarked, “Ethiopia, the oldest independent civilization in Africa and one of the oldest in the world, is endowed with historical places, natural beauty, colourful and diverse cultural activities and various endemic wild animals which are of great interest to international tourists. However; we have not made best use of these natural resources to attract large number of tourists. To this effect, this project is part of a new national initiative to transform the tourism sector in the country. 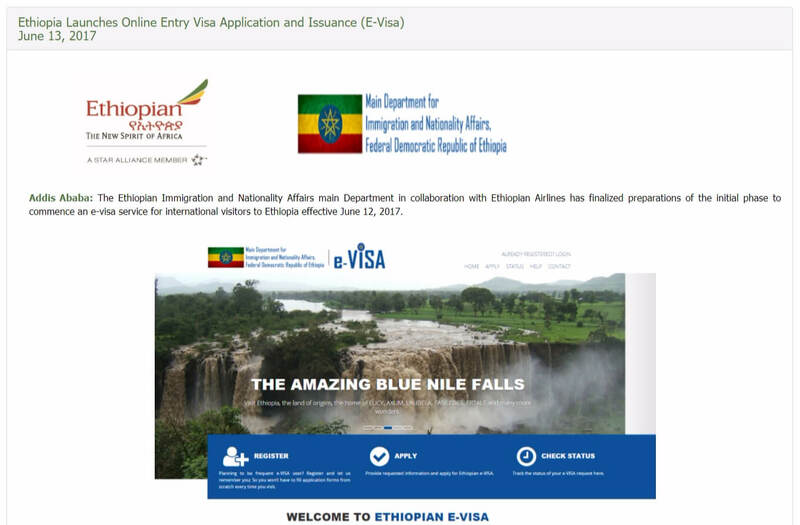 The full commencement of the Online Visa application and issuance system will promote tourism, trade and investment to the country. It will save time, energy and cost for travelers to Ethiopia in addition to the simplicity and convenience that it facilitates.